The original video does not include the song ‘kamal ka button daba’. A video showing a Kashmiri man dancing outside a polling booth as the song ‘kamal ka button daba,’ (press the button for lotus) plays in the background, is doctored. The song has been added to the original video where the man breaks into a jig even as amused bystanders queue up to vote. You can view the video here and access its archived version here. The video has been shared over 6000 times at the time of writing this fact-check and has been shared from multiple Facebook pages. The video was shot outside a polling booth in Bandipora. A man standing in the queue to cast his vote suddenly broke into a dance. In the nearly 40-second-long original video, one can see the man dancing with a smile on his face while the onlookers in the queue cheer him on and shoot videos on their mobile phones. News reports about the video can be read here and here. 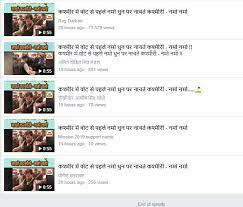 The original video has taken social media by storm and is being dubbed as the ‘beginning of the celebration of democracy’s biggest celebration – elections’.